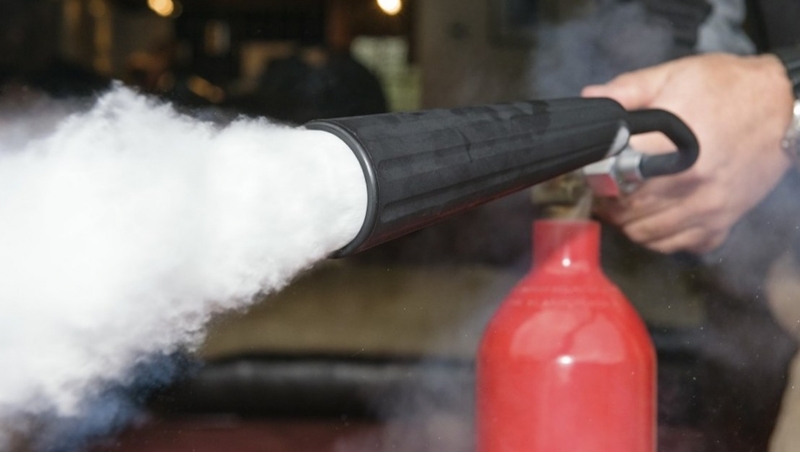 When the priest arrived at the church of Saint-Louis-de-la-Robertsau to prepare for the evening Mass, he discovered two fire extinguishers lying on the ground outside the church. When he entered, he found that they had been emptied, with the foam covering the pews and the walls. He then noticed that wax had been spilled on the altar and the Easter candle and wooden statue of Saint Joseph had been knocked over. The altar cloths were ripped, the crown detached from a statue of Christ, and a basin thrown into a confessional. Two weeks after the incident, authorities arrested five teenagers for the act. Father Muntzinger said called the incident a "shock," saying "We always think it only happens to others, but no... And then immediately, as a good Alsatian, I thought to myself that we should just clean it all up, but this time I had the reflex to call the police." The priest had previously asked authorities to install a CCTV camera near the church because of rowdy behavior in the square and earlier vandalism. The deputy mayor of Strasbourg, Alain Fontanel, denounced the incident as "unbearable degradation," saying "the lack of respect for the sacred in our society is very disturbing. These degradations, like those that have recently taken place in Reichstett can only arouse anger and must give rise to a firm response from the courts. There is no place for acts like these in our Republic."